This Web application was designed for current customers to be able to receive information on when their product delivery will arrive. 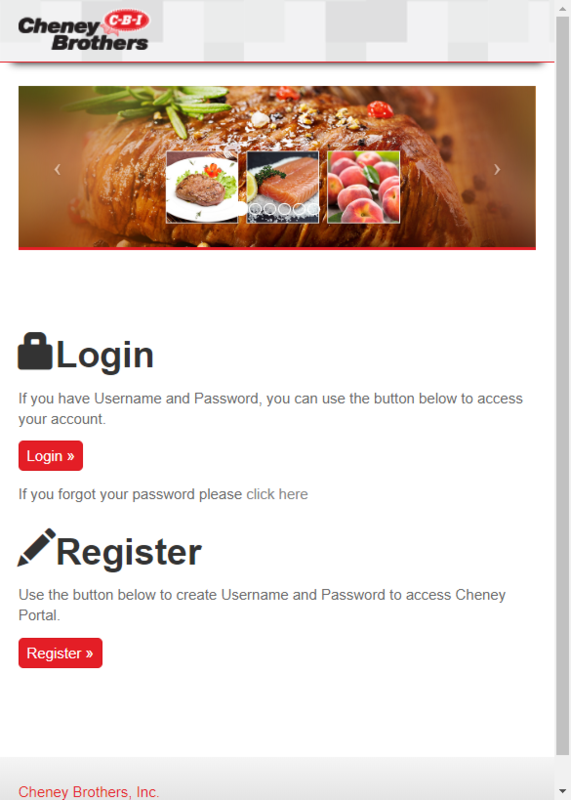 Cheney Central allows for multiple ship to locations to be registered to a single user, allowing a single sign on to view multiple ship tos. View scheduled delivery info and times for today. View current Orders, Deliveries and Invoices. View, Create and Edit Custom Order Guides. If you do not have your credentials then you need to get with your Sales Rep so they may request credentials for you.